Multi-station gauge isolators type ms 2 with built-in pressure gauge, are designed to check up to 6 different pressures in a hydraulic system. The gauge is built directly into the selector knob, therefore eliminating the need for a separate gauge. The pressure can be read when the arrow on the rotary knob is pointing to one of the six measuring positions. By turning the knob each of the six measuring positions can be selected. Between each measuring position there is a zero position to relieve the gauge pressure. A built-in detent locks any selected position. 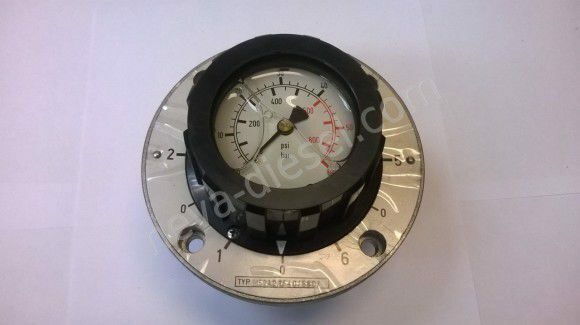 Different gauges are available for different pressure ranges. The gauges are filled with a special damping fluid to prolong the gauge life.